Greetings from Huong, Ella, and Kaylee from The 88 Project! We are bringing to you news, analysis, and actions regarding human rights and civil society in Vietnam during the week of June 12th to 18th. Blogger Nguyen Ngoc Nhu Quynh aka Me Nam’s (Mother Mushroom) detention has been extended yet again, despite reports of an impending trial. Journalist Nguyen Van Hoa has now been charged under Article 88, which could spell worse news at trial than his current charges. 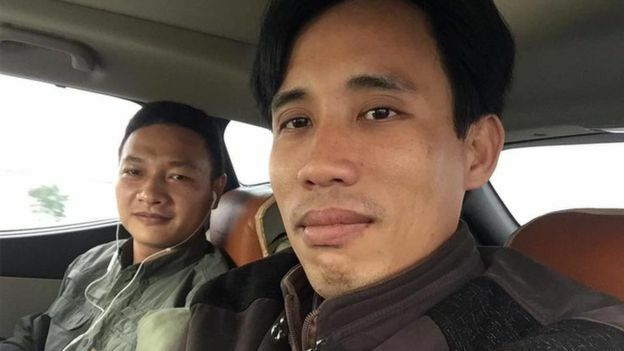 Lutheran Pastor Nguyen Cong Chinh is being held in solitary confinement, and environmental and labor activist Hoang Duc Binh has been transferred in detention to another facility. 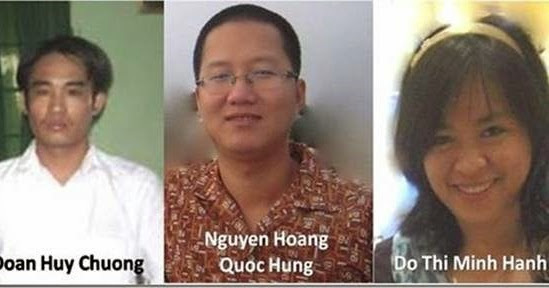 Additionally, activists Nguyen Dang Vu and Do Thi Minh Hanh have both faced recent harassment at the hands of authorities. The inhabitants of Dong Tam village are at risk as the government pursues a criminal investigation of the Dong Tam incident that took place this April, reneging on their original promise not to pursue charges against the villagers who temporarily detained police and officials in a land dispute standoff. News this week reports on the targeting of Catholic priests and the role of social media in protests. Review the latest human rights reports and dialogue and catch up on news of at-risk activists in the “In Case You Missed It” section of the newsletter, and please take Amnesty International’s Urgent Action for anti-Formosa protestors. Blogger Nguyen Ngọc Nhu Quynh, aka Me Nam (Mother Mushroom), who has been in incommunicado detention since her arrest in October 2016, has been officially charged under Article 88 for “propaganda against the state.” She faces up to 12 years behind bars. Several lawyers have claimed they are part of her defense, but despite the ending of the investigation period at the beginning of June, her mother was told that she faces two months and 15 days more in pre-trial detention, until August 18. Her mother was also barred from visiting her in detention. Me Nam was granted the International Women of Courage Award earlier this year by the U.S. State Department, though she was unable to accept it in person. 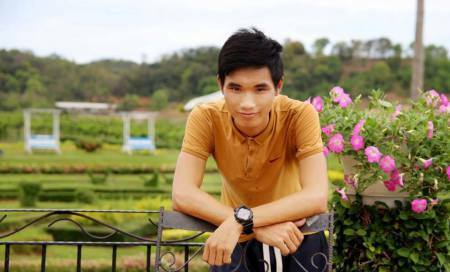 Citizen journalist Nguyen Van Hoa, 22, who has been involved in covering anti-Formosa protests since last year, has now been charged under Article 88 for “propaganda against the state,” which could mean a harsher punishment than under his previous charges of “taking advantage of democratic freedoms” under Article 258. He was arrested in January 2017. Lutheran Pastor Nguyen Cong Chinh is being held in solitary confinement for telling U.S. diplomatic officials about the torture and ill-treatment he has been subjected to in prison in a meeting on May 25. He was sentenced to 11 years of imprisonment in 2011 under Article 87 of the Criminal Code (“undermining the national unity policy”) for his connections to dissident groups, for distributing materials, and for expressing opinions that were considered “slandering the government authorities” by the State. Earlier this month, in a joint open letter addressed to the authorities of Vietnam, 26 international organizations and individuals called for the immediate and unconditional release of Pastor Nguyen and for an end to the harassment of his family. Environmental and labor activist Hoang Duc Binh (above, right), who was arrested on May 15 under Arts. 257 and 258 of the Vietnamese Criminal Code, was transferred from Nghe An province’s temporary detention center to the detention center B14 in Hanoi. His family only found out about the transfer when they went to Nghe An province on June 15 to send him supplies. Blogger and activist Nguyen Dang Vu was taken and held for 31 hours by police on June 8th. He was ill-treated, beaten, and denied food during his detention, and eventually thrown on a bus back home. He was arrested in 2016 for his ties to anti-Formosa protests. 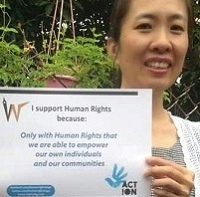 According to sources on Twitter, Do Thi Minh Hanh, a labor and land rights activist, was recently prohibited from leaving Vietnam to visit her mother. In 2010, at age 25, she was arrested for labor organizing and sentenced to 7 years in prison. However, in 2014, she was released early from prison. She has been a champion of human rights since she was 18. June 26 marks three years since her release; colleague and co-organizer Nguyen Hoang Quoc Hung, 34, remains in prison, serving nine years. 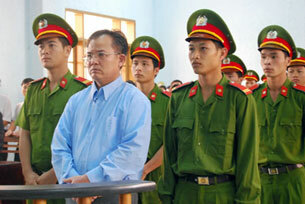 The other organizer arrested with them in 2010, Doan Huy Chuong, was released in February of this year. Some fear that promises are being broken, and that Vietnam is following its usual protocols, after authorities announced a criminal investigation for those who temporarily detained police and officials during a land dispute in April in Dong Tam. Locals held the police after several of their fellow community members were arrested. The locals released the police after they were assured to be immune from prosecution. Don’t miss this related analysis in the Economist, on how property disputes are Vietnam’s biggest political problem. Pham Minh Hoang, a professor and former prisoner of conscience, was recently notified that his Vietnamese citizenship was to be taken away. The government’s decisions to revoke his citizenship were sent to his home on June 10th, but they provide no rationales for the revocation. A dual-citizen of France, he has decided to give up his French citizenship to try to reverse or stave off the loss of his rights under Vietnamese law, so that he can ultimately stay in Vietnam with his family. Reporters Without Borders has expressed its “extreme concern” about the Vietnamese government’s intention and condemns this persecution of Hoang. And Human Rights Watch said this move by the government “marks a new low for Hanoi’s treatment of political dissidents.” Professor Pham Minh Hoang had served 17 months in prison during 2011-2012 for his pro-democracy blogging and for joining the pro-democracy political party Viet Tan. The official reason his citizenship is being threatened remains unclear. He filed an official petition on June 13th to contest the action. Activist Bach Hong Quyen, wanted by the Vietnamese government for organizing an anti-Formosa protest earlier this year, is currently on the run and in hiding from authorities. He is considering whether to stay in Vietnam or capitalize on international offers of support. Virginia​ ​Bennett, Acting US Assistant Secretary for Democracy, Human Rights, and Labor led the U.S. delegation for the U.S.-Vietnam Human Rights Dialogue that occurred on May 23, 2017. This video sums up her takeaways from the session. On Monday, June 19th, Hanoi time, Human Rights Watch will release a report on the Vietnamese government’s physical attacks of activists with thugs. If you haven’t already, please take Amnesty International’s Urgent Action for activists at risk of imprisonment and harassment for their protests against Formosa and the environmental fallout from last year’s toxic spill.